It’s no secret that the areas surrounding the Villages of Citrus Hills has a way of commanding the attention of various artists, and authors have been no exception. Here are some of the interesting history, tour guide, and fiction books that cover the Nature Coast that current and prospective residents of the Villages of Citrus Hills might want to check out. The history of Cedar Key, Florida is a fascinating story, and author Kevin McCarthy presents that history in a well-researched manner that keeps the reader engaged while still hitting on all of the facts about Cedar Key. This tiny island community has seen and survived plenty over the years, and McCarthy does a great job of capturing exactly what makes “Old Florida” and the Nature Coast so popular. If you like the historical perspective presented in McCarthy’s book, this is an excellent follow-up read that takes a closer look at one particular event in Cedar Key’s history. In 1896 there was a hurricane that leveled everything on the island and killed dozens of people. Oickle chronicles the devastating impact of that hurricane and how it forever changed the way we would experience Cedar Key. A picture is worth a thousand words. 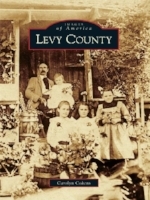 This is another great book that shows the history of Levy County through pictures. The pages are packed with great photos of Cedar Key, Chiefland’s Train Depot Museum, the Suwannee Valley Theater, the Watermelon Festival, the Christmas Parade of Lights and the Williston Peanut Festival. Touching on all the history that makes Levy County such a fascinating place. 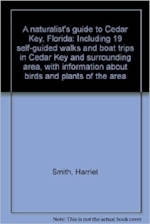 With this book, author Harriet Smith takes on the role of travel guide as she profiles 19 different self-guided walks and boat trips that she recommends taking to explore the areas surrounding Cedar Key. She includes plenty of detailed information about the different types of wildlife and foliage you will find on each of these trips. 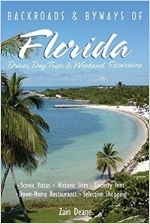 This is a really interesting book that profiles 12 different day trips and weekend excursions that you could take through less-traveled areas of Florida. No matter what type of excursion you are looking for, this book promises to deliver on memorable trips to must-see Florida attractions that are often overlooked by tourists and even locals. If fiction reading is your preference, this is a great place to start! This book tells the story of Jack Shaw, a jaded personal injury lawyer turned private investigator who finds himself wrapped up in a wild plot to instigate war in the Middle East. There is a large portion of the book that is set in Cedar Key. 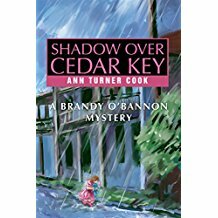 This mystery novel features Brandy O’Bannon, a Florida reporter who is investigating the disappearance of a mother and daughter during Hurricane Agnes. Parts of the story include a private detective who placed a classified ad asking the woman to come forward and the possibility that her skeleton was found in the basement of a Cedar Key hotel. While these particular books are all currently available on Amazon, a quick trip to on the of local libraries will allow you to find many more books on the Nature Coast that are not as widely available.